It's true, we don't exactly get snowed in for the holidays here in Florida. However, there are still things you need to know about winterizing your Florida lawn. There is a huge difference in our summer and winter lawn care requirements. 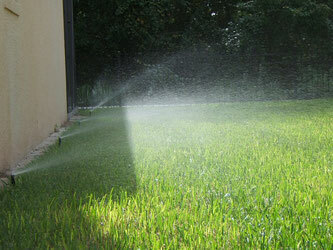 Florida winter lawns only need watering once every 10 days. As we know, that's a huge decrease from what our lawns need in the summer. If you're using an irrigation system with a timer, be sure to adjust the scheduling. Florida winter lawn care does not include that weekly mowing we're accustomed to after summer. You'll notice that your grass grows much slower in the winter months, but still requires frequent attention. Our Florida winter lawn care tips include pest control. We don't often think of winter as having an abundance of bugs in Florida. Although the mosquitoes are hibernating, pests like fire ants, mole crickets and cinch bugs are still very active this time of year. That's something to keep in mind before you gather around the fire pit this season. Ludlow Services offers a Florida winter lawn care schedule to suit what your lawn's needs this time of year. If you live in Kissimmee or its surrounding areas, call (407) 456-1369 for a FREE Estimate today.